Mumbai City FC captain and goalkeeper Amrinder Singh talks about the Indian Super League’s impact, his favourite fans in India and how he was a STRIKER once. Mumbai City FC agree one-year contract extension with head coach Jorge Costa! 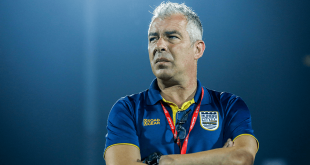 2019-03-19	Indian Super League Comments Off on Mumbai City FC agree one-year contract extension with head coach Jorge Costa! 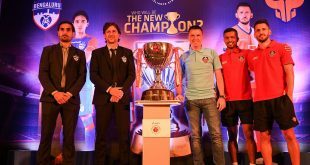 Bengaluru FC & FC Goa fight it out for the ISL-5 title in Mumbai! 2019-03-16	Indian Super League Comments Off on Bengaluru FC & FC Goa fight it out for the ISL-5 title in Mumbai! Mumbai City FC win 1-0 at FC Goa, but Gaurs reach ISL final! 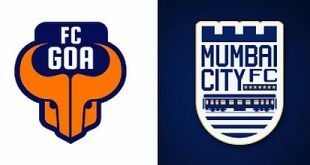 2019-03-12	Indian Super League Comments Off on Mumbai City FC win 1-0 at FC Goa, but Gaurs reach ISL final! Mumbai City FC suffer 1-5 home loss to FC Goa, ISL final looks far away! 2019-03-09	Indian Super League Comments Off on Mumbai City FC suffer 1-5 home loss to FC Goa, ISL final looks far away! 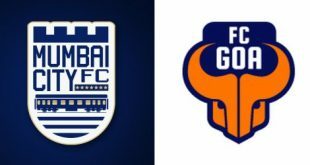 Mumbai City FC host FC Goa in ISL semifinal first-leg! 2019-03-08	Indian Super League Comments Off on Mumbai City FC host FC Goa in ISL semifinal first-leg! Arsenal & Leicester City to play Premier League & ISL Youth Games 2019! 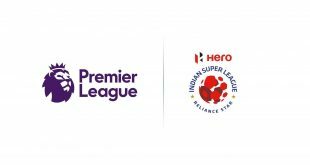 2019-03-04	England, Indian Super League Comments Off on Arsenal & Leicester City to play Premier League & ISL Youth Games 2019! Mumbai City FC seal semifinal spot with 3-1 win at ATK! 2019-02-22	Indian Super League Comments Off on Mumbai City FC seal semifinal spot with 3-1 win at ATK! 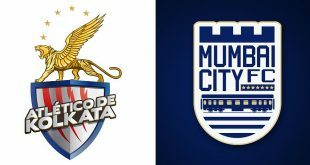 Mumbai City FC aim to seal semifinal spot at former ISL champions ATK! 2019-02-21	Indian Super League Comments Off on Mumbai City FC aim to seal semifinal spot at former ISL champions ATK!